As the Mass of Ordination begins, the nine men who were ordained to the priesthood by Cardinal Dolan on May 26 process up the center aisle of St. Patrick’s Cathedral. Leading the way were Father Michael Connolly and Father Osvaldo Hernandez. The newly ordained priests join Cardinal Dolan for a group photo in the Lady Chapel after the Mass of Ordination in St. Patrick’s Cathedral May 26. Front row, from left: Father Louis Masi, Father Osvaldo Hernandez, Cardinal Dolan, Father Carlos Limongi and Father Mark-Mary Maximilian Ames, C.F.R. Back row, from left: Father Angelus Montgomery, C.F.R., Father Kareem Smith, Father Francesco Gavazzi, C.F.R., Father Michael Connolly and Father Pierre Toussaint Guiteau, C.F.R. Cardinal Dolan lays hands on Father Guiteau during the Rite of Ordination. Cardinal Dolan addresses the nine men he was ordaining to the priesthood at a Mass in St. Patrick’s Cathedral May 26. The cardinal clasps the hands of Father Osvaldo Hernandez during the Rite of Ordination. Father Francesco Gavazzi, C.F.R., extends a first blessing after the Mass. The candidates lay prostrate on the floor of the sanctuary as the Litany of Supplication is sung. Dozens of priests from parishes in the archdiocese and neighboring dioceses and religious orders were among the concelebrants at the Mass of Ordination at St. Patrick’s Cathedral May 26. Cardinal Edwin O’Brien, the grand master of the Equestrian Order of the Holy Sepulchre of Jerusalem who was ordained for the Archdiocese of New York at St. Patrick’s Cathedral in 1965, lays hands on one of the ordinands. The cardinal presents chalice and paten to one of the newly ordained. The nine newly ordained priests give their first blessings to Cardinal Dolan. At a Mass in which he ordained nine new priests at St. Patrick’s Cathedral May 26, Cardinal Dolan spoke to them about a 16th- century saint whose joy, love for Jesus and healing priestly ministry made him an ideal choice as the patron of their class. In that environment, St. Philip Neri could easily have become crabby and cynical. Instead, he brought forward his own “magnetic personality,” and exuded joy with a smile and laugh that attracted people to Jesus. 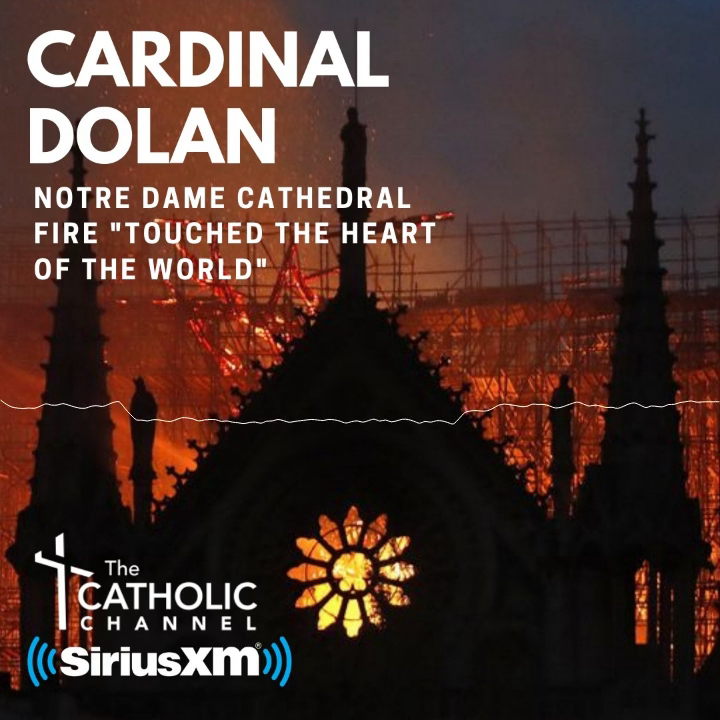 “His personality became a bridge, not a wall,” Cardinal Dolan said. Maria told CNY she enjoyed the spiritual talks that Father Smith gave. “He is always trying to bring you closer to Christ,” she said. At the end of Mass, Rene Goldsmith told CNY that she was “overwhelmed” to be present for the ordinations. The fraternity between Cardinal Dolan, the other priests and the newly ordained delivered a powerful message. “You see Jesus present there, and the Apostles,” she said. Ms. Goldsmith said she and her husband, Bill Goldsmith, have witnessed the faithful service of the Franciscan Friars of the Renewal at St. Mary of the Assumption Friary in Newburgh, especially on their Jericho Walks throughout the city. Their personal witness to everyone they encounter is inspiring to her.